Did Tegeta receive a 75% discount on Optimum fine? 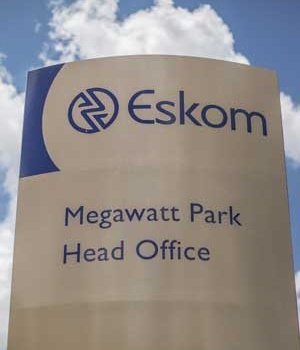 Johannesburg – Eskom has suspended a senior general manager, pending an investigation into irregular conduct in the supply of coal by a Gupta-owned mine, a spokesperson said on Sunday. Ayanda Nteta was suspended after she was accused of granting Optimum mine a three-month extension of temporary relief in coal quality without approval from the board. The company supplies the Hendrina power station with coal in Mpumalanga. "Her suspension is linked to a contract to supply the Hendrina power station with coal," said spokesperson Khulu Phasiwe. Phasiwe declined to give further details on the matter, saying an investigation against Nteta was still ongoing. Sunday Times reported that Nteta had been accused of granting the extension between August and October last year. The reprieve followed a previous extension given to Optimum between June 2016 and March last year, according to the newspaper. Gupta-owned Tegeta bought Optimum from Glencore in 2016 for R2.15bn in a deal shrouded in mystery. Former president Jacob Zuma's son Duduzane was also a shareholder of Tegeta.